Good news for all you drifters and hoverbord lovers!!! Vecaro has released its DRIFT X model of hoverboard for 2018. 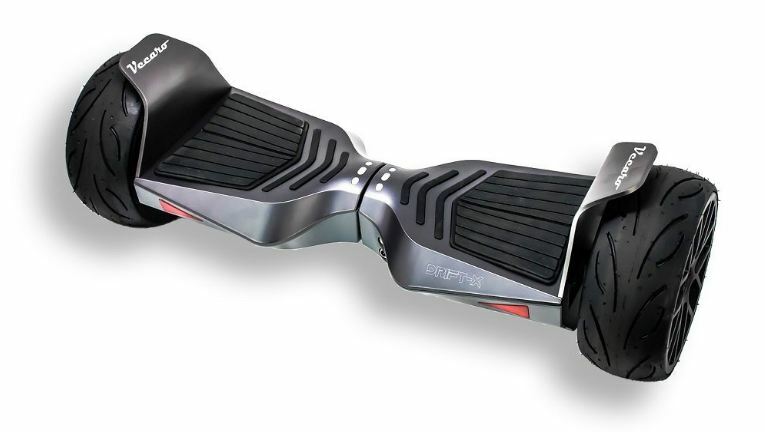 DRIFT X model is the newest addition to Vecaro line of hoverboards. Acctualy, we can say that this is the upgraded version of already reviewed TREK X model we did couple of months ago. Both models are made for off-road experience but DRIFT X version comes with some upgrades and innovations. Read below to find out what they have upgraded and innovated. What’s new about Vecaro DRIFT X? DRIFT X has passed all necessary UL requirements and tests and it is powered with Samsung 36V Li-ion battery pack as most reliable power source for hoverboards. This model comes with Vecaro mobile app through which you can control speed and force, set steering sensitivity, shift between beginner and advanced riding modes, check battery life indicator with 5 level battery indicator, turn on/off the music on built-in Bluetooth speakers etc. We think that the biggest difference about DRIFT X is its sport and aggressive look as well as cool metallic colors. And, at the moment you can get it at great promotional price, so hurry up!! !